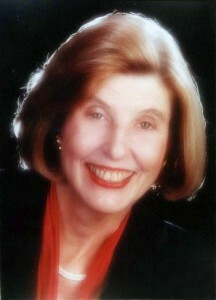 Ann Rentoumis was born in New Haven, CT. Her mother, Marion Dallas, M.D., was one of the early women physicians in private practice. She met Ann’s father, also a physician, during her internship. Her brother, Luigi Mastroianni, M. D., became an internationally renowned infertility specialist. Ann graduated from Vassar College with a Psychology major, attended Medical School and then changed her course to receive a graduate degree from Columbia University. In addition to her career in New York City at Bellevue and Mt. Sinai Hospitals, she also did showroom and runway modeling. Ann met her husband George in New York City and was immediately attracted to the twinkle in his eye. Marriage and professional careers initially led them to Princeton, New Jersey, where Michael and Mary were born, and then to College Park, Maryland and Houston, Texas, where Anne was born. George retired from Houston 33 years ago to spend more time with his family, and to fulfill a dream of living and sailing in the Fort Lauderdale area. Ann and the children became excellent sailors, culminating in a trip on their sailboat from Fort Lauderdale to Gloucester, Massachusetts – labeled as “character building” by her children, then aged 15, 14 and 8. The three children are graduates of Pine Crest School, and their colleges include: Mary at Harvard, Anne at Harvard and University of Pennsylvania Medical School, and Michael at St. Lawrence University. All her children are now married and have produced seven grandchildren, ranging in ages from one to twelve years. Ann truly cherishes the time she spends with her children and grandchildren. In Florida, she has fulfilled her dream of returning to her profession, and currently maintains an active psychotherapy practice in Ft. Lauderdale. Ann is listed in Marquis Who’s Who in America, Who’s Who in the World and Who’s Who of American Women. Throughout her life, Ann enjoyed key leadership positions in a variety of organizations. Ann was President of the Houston Vassar Club, the Florida Philharmonic Society and the Pine Crest Mother’s Club. She was a member of Pine Crest Founders Council and is currently a Trustee of the royal Dames of Cancer Research. She has held several officer positions in The Opera Society. Ann’s awards include the Woman of the Year by the American Cancer Society, a Woman of Style and Substance by the Philharmonic Society and the JC Penney Golden Rule Award. A lifelong pianist, Ann enjoys playing at local charity events.